“Concrete jungle where dreams are made of, there’s nothing you can’t do. . Now you’re in New York, these streets will make you feel brand new; big lights will inspire you…” Yes, i quietly sang this song in my head as soon as the Delta Airlines plane landed from Las Vegas to New York. I was with the company of the coolest young-at-heart aunt in the world, and we were more than excited to explore this famous metropolis labelled as the city of dreams and ambitions. Our giddy hearts just can’t slow down when we queued up in the taxi stand waiting for a vacant popular yellow cab outside the LaGuardia Airport. pizza, anyone? this is located just outside St. Mark’s Hotel. After spending almost a week in Vegas, I was still not able to cope up with the jet lag (and I am not exaggerating, haha), so we decided to take a nap upon arriving at the hotel. As soon as the sun was gone, we woke up and felt energized to walk around; we had dinner in Jeepney – a popular Filipino resto-pub in NYC that gave Filipino dishes a western twist. After savoring our delicious sisig tacos in avocado sauce (which we decided to enjoy with rice as usual, hehe), we visited the Times Square. The flickering lights from all corners, huge screens of advertisements, diversity of out-and-about tourists and locals, hotdog stands and other yummy street foods, constructions here and there, the sound of police car’s siren, “The Crossroads of the World” is indeed one of the busiest places in the United States, or perhaps in the whole world. The pedestrian is not the cleanest though, it’s something that’s expected in heavily congested streets if I may say. We were not able to see a broadway show as we were too busy being fancied by the starless skyline adorned with bright lights. We’ve seen such in Vegas, but the fact that we were at Time Square still amazed our wanderlust souls. We had a long list of paces to visit the next day. This is when my aunt’s leg endurance was tested. Too bad she was with a let’s-rather-walk-than-take-a-cab woman who does not get tired of walking every time she’s in a new place. Haha. . I felt sorry for my Aunt though that she got really tired after this trip. First, we took a bus going to Central Park. I imagined the trees in autumn, it must’ve been lovelier if I visited after August. After a relaxing stroll with the greens, we walked around and saw Museum of Modern Art (MoMA), but when we stared at each other, we both understood that our minds speak of: “Nah, we’re not the artsy type of people, let’s move forward.” And so we skipped MoMA. . Haha. . Then we boarded the Staten Island Ferry to see the famous Statue of Liberty from afar. We didn’t choose getting near to the Statue of Liberty because 1) we knew it’s gonna be very crowded, and 2) the ride in Staten Island Ferry is free. . Hehe. . 🙂 After saying “hi and hello” to Liberty, we went to see the 9/11 Twin Tower Memorial, got lost a little but still managed to find it via the longest route you could ever imagine. Haha! My aunt already felt her veins in her legs screaming “ouch” so we decided to go back to the hotel and took a nap after this attraction. 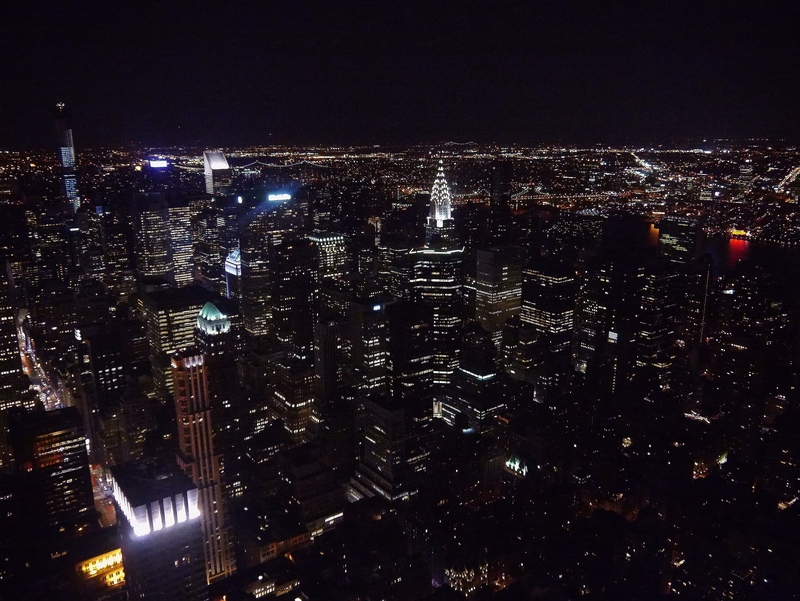 At night, when all our enthusiastic-to-walk spirits had been regained, we finished the day at the top of the Empire State building and gazed with amazement at the beauty of the city in bird’s eye view at night. For the Artsy, i mean, Art-lovers. . MoMA. as the Staten Island Ferry sails. .
New World Trade Center – the Freedom Tower stands near the 9/11 Twin Towers Memorial. t’was a little chilly at the top of this popular skyscraper but the view was worth all the “grrr”s. .
On the third day, my aunt had to fly back to Las Vegas. 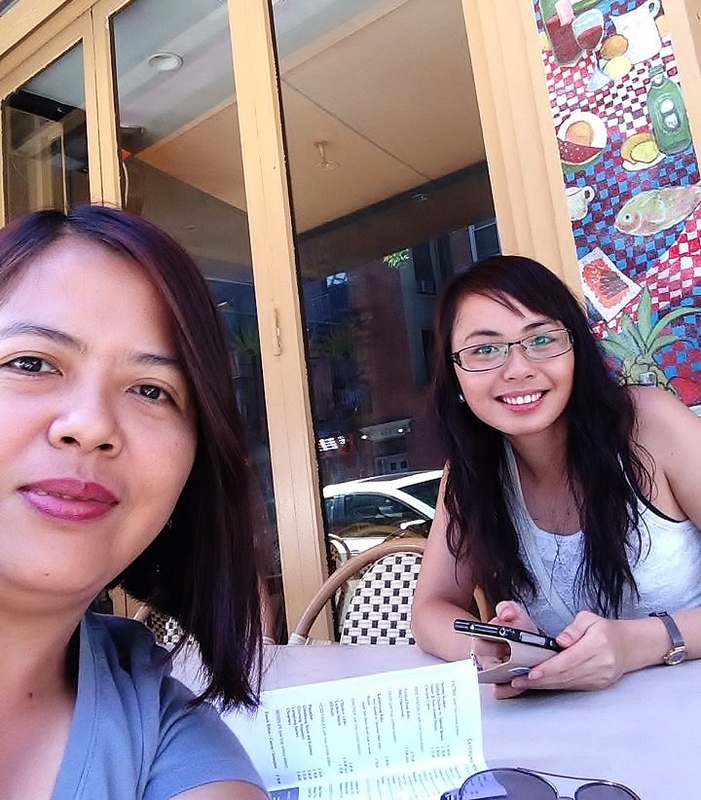 We didn’t have much time to explore more of the city so we just decided to spend the morning chit-chatting and brunching; we pigged out in a Filipino restaurant near our hotel (I forgot the name, it’s neither Jeepney nor Maharlika). 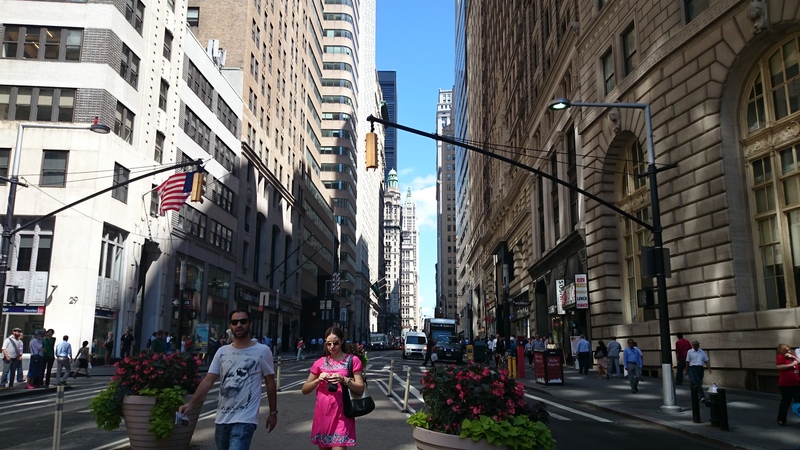 We parted ways at noon and I transferred to a cozier and comfier hotel near the Central Park – Belnord Hotel. I can’t find my wanderlust spirit on that very sunny day so I decided to take a nap for a while until I realized it was already late night. The hungry me found this pizza place and had the best pizza of my life at the Artichoke Basille’s Pizza & Brewery. They truly served me the best pizza I have ever tried, of course that’s the artichoke pizza, that went very well with a pint of beer. I highly recommend this! The next day, I found the courage to stroll the city alone. 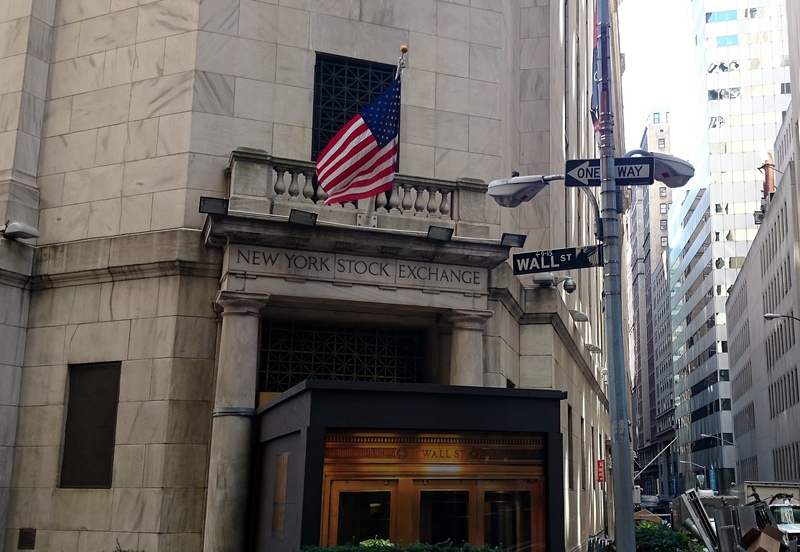 I firstly visited the Wall Street, roamed around the financial district and had my photo taken beside the bronze Charging Bull. I then went to the Grand Central Station which for some reason made me feel like I was in an old English movie. 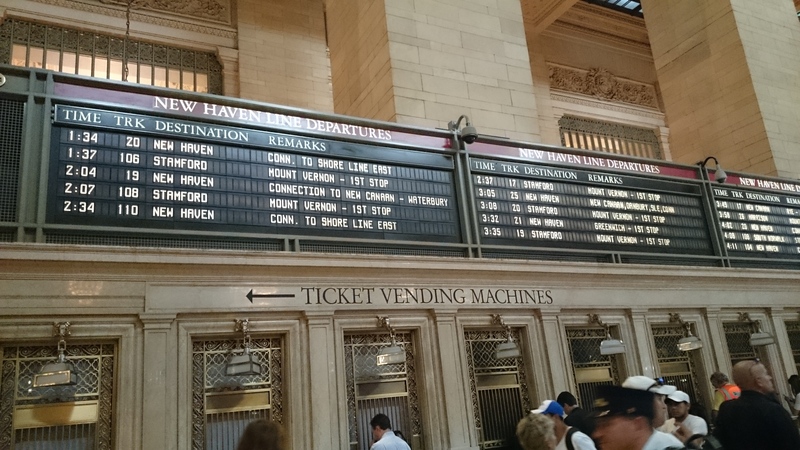 That big old clock at the center of the station, the ambiance of historic New York, the paint on the walls and the murals, it wasn’t just a train terminal for me. 🙂 I ended my trip in Chinatown looking for cheaper souvenirs, the items I found were still more expensive than in any other states though. hehe. .
the busy Grand Central Terminal with the famous clock at the middle. 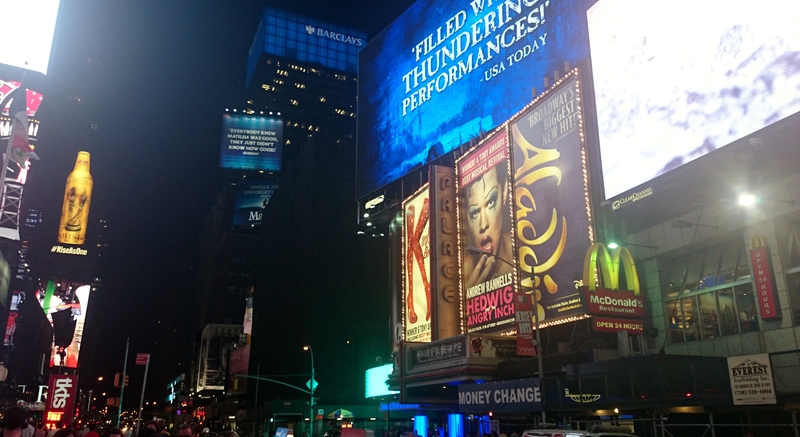 In case you are planning your New York trip soon, let me share with you a few helpful infos. From LaGuardia Airport to downtown Manhattan, we took a cab that costed us a little more than $50 plus we gave extra for the cab driver’s tip. Subway is the best transportation around New York. You can buy a metro card at the subway station. The single ride costs $2.50 but if you’re staying for long, you may want to get the 7-day unlimited rides at $29 instead. This is cheap if you’re bad in directions like me, I used to end up in wrong train station so the unlimited ride was the best option for me. This metro card can also be used in all public buses around the metro. And oh, a pack of cigarettes costs almost double compared to Vegas, so better bring a couple from other states instead of buying in NYC. You’re welcome. 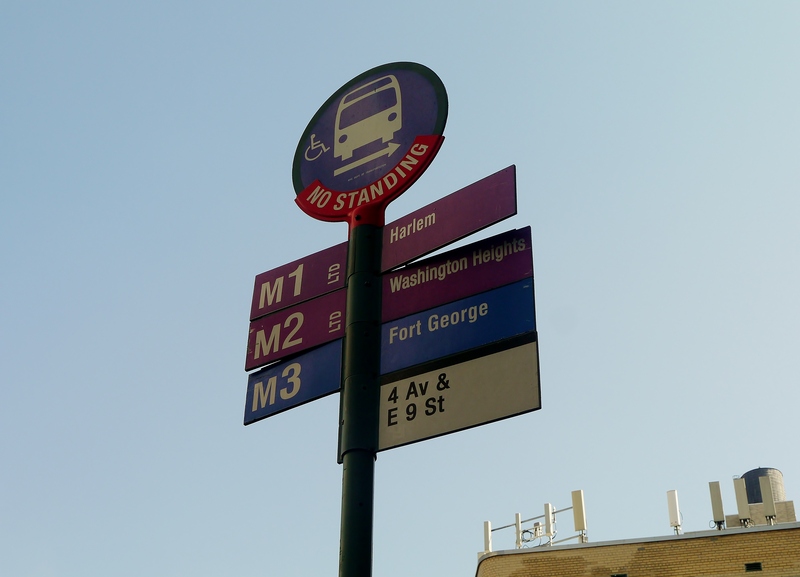 Hehe. .
bus stop signage near St. Mark’s Hotel going to the Central Park. 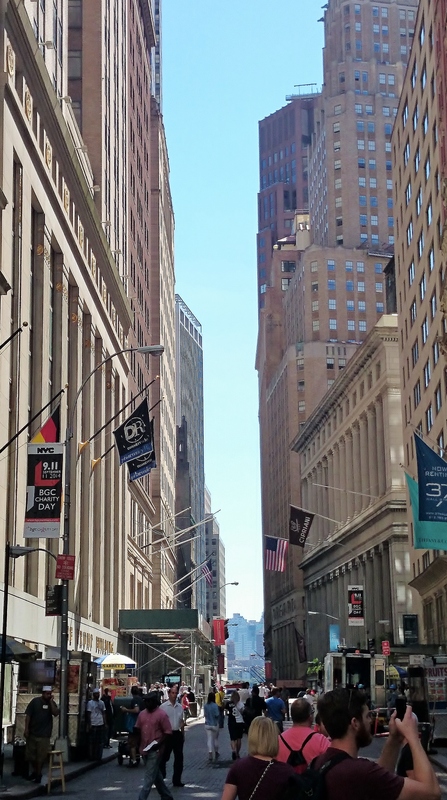 Some may say, New York is not as mesmerizing as what we perceive in movie scenes and glossy colored pages of the magazines. Some streets are awfully dirty, some people either spit at the sidewalks or didn’t mind throwing their filthy trash anywhere despite the availability of garbage bins, many homeless people beg on the streets and in trains, hippies and drunk men sleep anywhere. But the imperfection just gave me a deeper understanding of New York’s culture and the locals’ way of living. These imperfections brought the magic that made this power city one of the most beautiful and captivating metropolises I have ever visited. Diversity. Different mentalities. Different skin color which doesn’t really matter. With all the attractions I have seen plus the oh-so delicious hotdog sandwiches with onions, pickles and sauerkraut, I left the Big Apple with a happy heart; gleeful that I can finally tick this in my list of the places I should visit at least once in my lifetime.